I met Laurel, the owner of Island Style Watersports and professional kayak guide at Ted Sterling Park to look for a ring her client lost the day before. 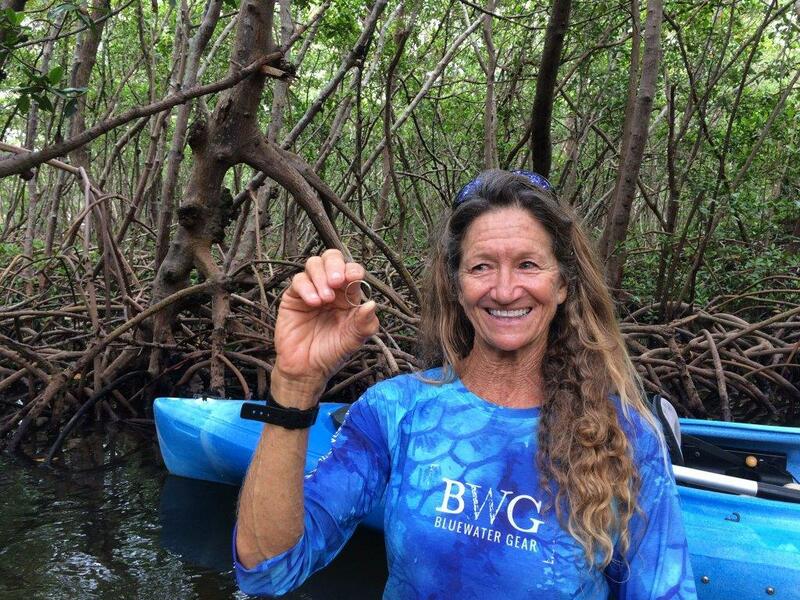 According to Laurel, she was guiding a family through a mangrove tunnel when the husband’s kayak overturned. 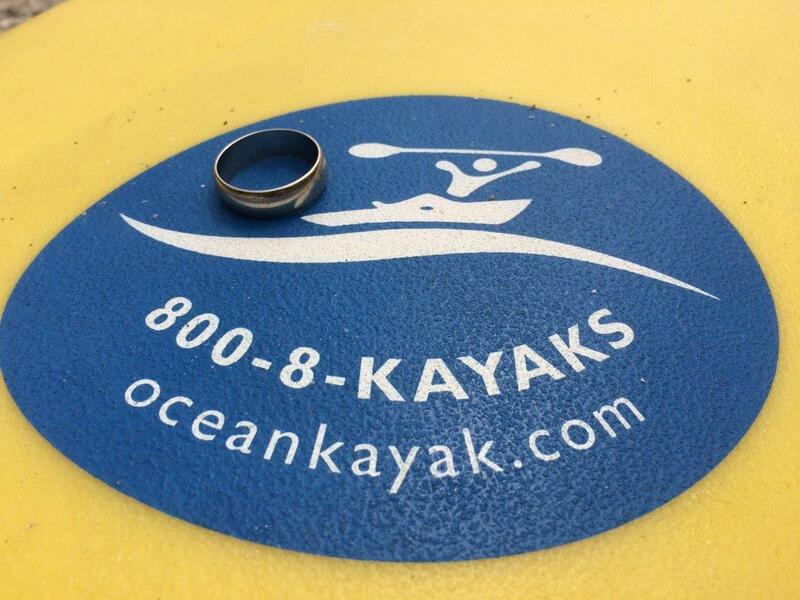 He didn’t realize his wedding band was gone until returning to land, but Laurel was certain it came off as his hand was grabbing at overhead branches in an attempt to stay on the kayak. It turned out she was right and a few minutes later we were looking at a large white gold band in a scoop full of oyster shells!